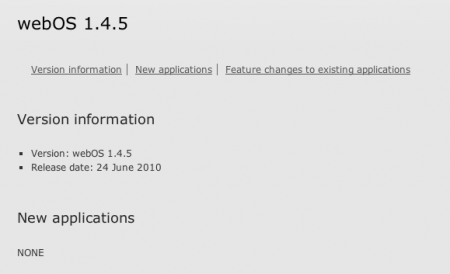 webOS 1.4.5 Changelog appears, update imminent? 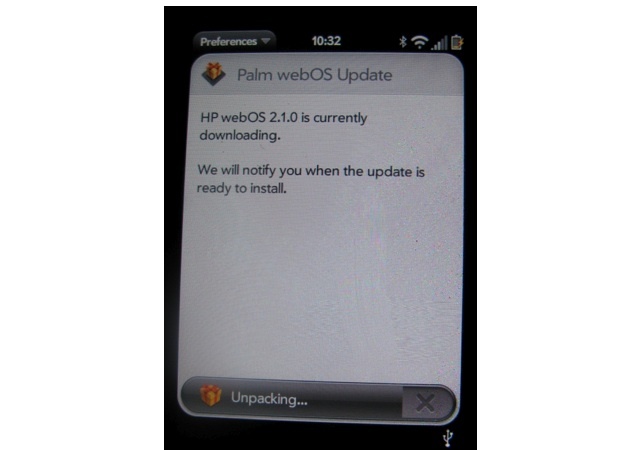 Palm had posted a changelog for webOS 1.4.5 on their support site, but it’s gone missing. In fact, Palm’s entire support site appears to have some technical issues this morning. Browsing the site often brings up ‘null’ results. When it hits the Internets, we’ll let you know. Mark/Space has released version 1.2 of The Missing Sync for Palm Pre. 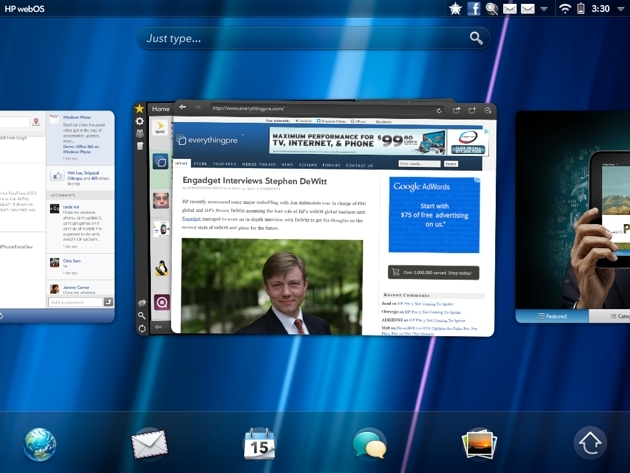 The new version now synchronizes notes and tasks between a webOS phone, such as Palm Pre Plus and Palm Pixi Plus, and a Windows PC or Mac computer. For those of you who run Windows, version 1.2 includes a built-in ringtone editor, a feature previously available in the Mac version only. The update is available for free if you currently own a license. 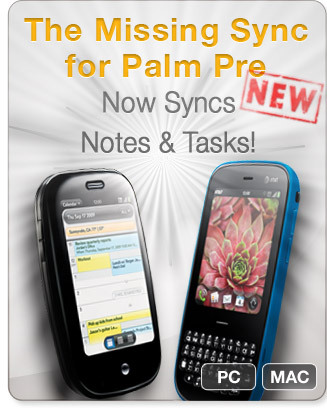 The Missing Sync for Palm Pre retails for $39.95. Exciting day for Palm yesterday and some good news for those of you who have the Palm Pre Plus on Verizon Wireless. Palm has released webOS 1.4.1.1 for the Verizon Palm Pre Plus. The update process will happen OTA and you can manually check if it’s available by hitting the Update icon that looks like a present. Official changelog is available after the break. The most notable change appears to be the removal of the pesky double letter issue that affected so many of you. The official word from Palm was that webOS 1.4 would be available sometime in early February. According to a tipster at PreCentral, an email indicates webOS 1.4 will be available on February 15th. The email was sent to Sprint stores indicating upcoming software updates. This certainly looks promising for Sprint customers. We’re not sure if those of you on Verizon will receive the update on the same day. The February 15th date isn’t set in stone, but this certainly looks promising. Anyone up for shooting videos on your webOS device? A few days ago we reported on Palm’s acknowledgement of speed issues affecting the UI of webOS and it was suggested that improvements would be forthcoming in “the immediate future”. PalmInfoCenter points us to an update to the post on Ajaxian that pours a bit of cold water on our hopes these speed improvements might be imminent. Some of the notes have been taken out of context, so we wanted to clarify: We started with a talk on the the future of the mobile Web. This talked about the potential of the Web as the platform for devices, and why we were excited to join Palm… We don’t comment on our specific SDK plans, and while we are personally excited about the Web gaining GPU acceleration via technologies like WebGL and CSS Transforms, and we would like to see webOS gain these capabilities to allow web developers to better leverage our fantastic hardware, we were answering a question about our personal opinion on what we’d like to see happen to the platform. We don’t believe the term “immediate” was even mentioned by us, and we are sorry that people have read too much into this particular topic. Doesn’t appear that webOS 1.3.1 will feature the speed increase the UI needs and most users want. In lieu of a speed increase, would a native Facebook app suffice? One of the frustrating parts of using Palm’s webOS is the lack of speed when accessing menus and in general the UI at times feels sluggish. With hardware on par with Apple’s iPhone 3GS, the speed of the UI just doesn’t feel as fast as it should given the hardware. Longtime Linux (and webOS) developer Jamie Zawinski left the Pre citing performance as one of the reasons. While the speed has been improved with the last few updates, the good news is that speed of the UI is definitely on Palm’s radar. At a webOS Developer Event in London, Palm’s dynamic duo Ben and Dion spoke about the issue. On ease of use, multitasking has been great; UI latency is still an issue even though the hardware is comparable to 3GS. The problem is the path to the GPU didn’t exist, but now with CSS transforms, that will be solved in the immediate future. With the Palm Pixi set to debut on November 15th, it will no doubt feature a later build that 1.2.1. We have no idea as to the number of the build, but we’re all for seeing speed improvements in the next webOS update. 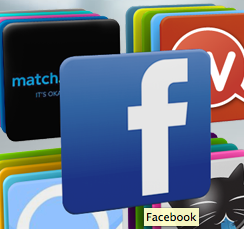 That plus of course we’re hoping for a killer Facebook app. How about you? What are you looking for from Palm in the next webOS update, outside of a little shake and bake? webOS 1.2 Update Coming Today? We know that webOS 1.2 is coming, but when? 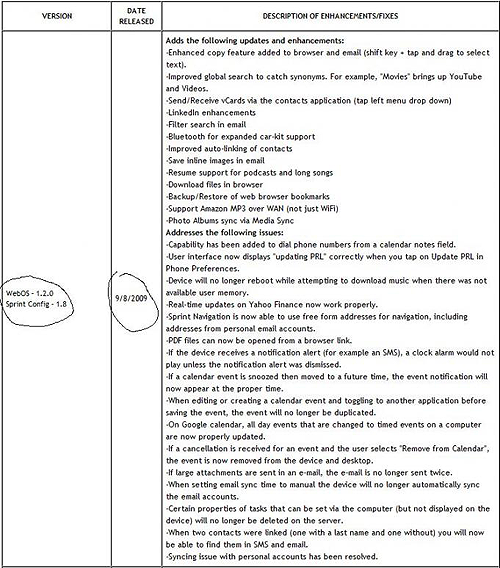 joek71 in our forums checked the software update section at Sprint.com and it displayed webOS 1.2 as being released on September 8th. In addition to the release date, there is a complete list of what’s being updated. As of 7pm EST, we’re not seeing the update, but it might be coming sooner than we all expected.